Alexis Tsipras has been Prime Minister of Greece since 26 January 2015. In this article, I will interpret the Alexis Tsipras horoscope, then compare it to the Greece horoscope to show how this outstanding man is such a good representative for his country. This will also show yet again why the Greece Democracy horoscope is the most accurate of a number of possible mundane horoscopes for the Greek nation. I stated above that Alexis Tsipras was an outstanding man. I say this because of the number of major fixed stars in his horoscope. There are the two brightest fixed stars, plus two of the four royal fixed stars in prominent positions in his chart. 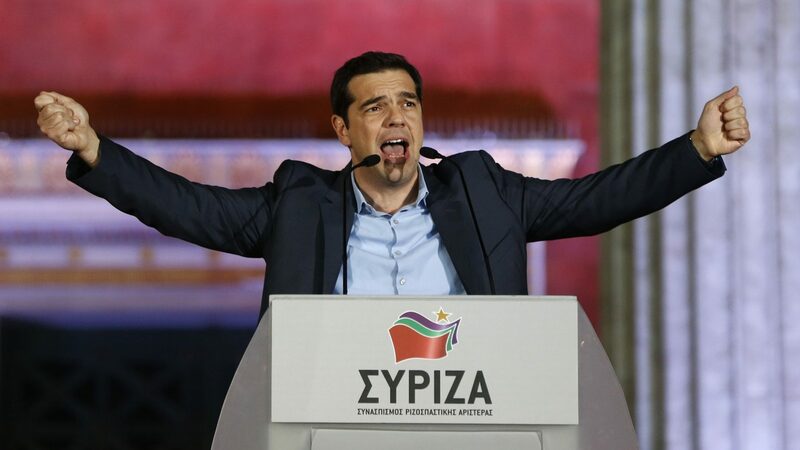 The heading from the quote above is Alexis Tsipras – Greece’s rising star. His rising star at 9°26′ Gemini is one of the four royal stars Aldebaran, representing the archangel Michael. This star rising makes Alexis eminently fortunate and honorable. With no major aspects to the Ascendant, the positive attributes of the major fixed star in the Bulls Eye are unimpeded. Such positives include intelligence, eloquence, steadfastness, integrity, popularity and courage. Sometimes called The Follower, Eric Morse suggests a prominently placed Aldebaran can imply following in the steps of the celestial general, Michael. Along with two other royal stars, Aldebaran is associated with success in war. Today, with the major reason Alexis has risen to power being the Greek economy, we can say that the war is on of economics, with The European Union headed by Germany using money as a weapon against the Greek people. His enemies are shown by the setting star which is Antares, an equally powerful military star in the Heart of the Scorpion. Without help in his chart from other factors, this would imply a stalemate or even victory to the European Union, if Alexis were to launch an attack on them. The enemy represented by Antares is very strong. The European Union is dominated by the Christian Democrats, the political arm of the Roman Catholic Church. In astrology, Antares relates to right-wing politics while Aldebaran represent The Left. Fortunately for Alexis Tsipras, Mars on the royal star Regulus gives him the upper hand. This star in the Heart of the Lion adds to his rising stars attributes of courage, honor and fame. Like the Ascendant, Mars is unimpeded due to a lack of negative aspects. Aldebaran by nature is rebellious, associated with stirring up popular dissent and revolution. Sun sextile Pluto however, gives Alexis a great amount of self-control as well as personal power and influence. It helps turn the destructive side of rebellion into positive transformation. Pluto itself is on the level-headed star Zaniah in constellation Virgo. Acting like Mercury sextile Venus, it refines his personality and gives excellent negotiation skills. With Pluto comes powerful persuasion. Perhaps more fortunate in harnessing the revolutionary nature of this rising star is the three-point stellium of Mercury, Venus and Saturn. How he manifests and communicated his ideas and love of country are moderated and strengthened by Saturn. Mercury is on the second brightest star in heaven, Canopus. In general, this star in the Ship gives piety, conservatism, a wide and comprehensive knowledge, voyages and educational work, and changes evil to good. With Mercury in particular is does make him rash and headstrong, but also kindhearted and criticism of his statements. Venus on Alhena in the Twins gives a spiritual inclination but is not a very strong influence when compared to Saturn on the brightest star of all. Sirius gives honor, renown and wealth just like Aldebaran and Regulus. However, it also brings faithfulness and devotion, so ideal in a political leader. This Sirius is known to produce custodians, curators and guardians. With Saturn this brilliant star makes Alexis more steady, reserved, diplomatic, just and persevering. It has great influence over Mercury and Venus making him trustworthy and honest. This the horoscope of Alexis Tsipras describes an honest and passionate man with strong ideals. He feels a great responsibility for the welfare of those he leads, and has the energy and courage to stand up and fight those who threaten their well-being. It is easy to see why Alexis Tsipras is such a fine representative of the Greek people when comparing his horoscope to that of Greece Democracy. Being born only four days after the formation of Greek Democracy, nearly all planets are conjunct in synastry. Alexis feels a big part of the destiny of Greece, and he is. The Vertex Point in the Greece horoscope is conjunct his Moon. His Moon trine the Greek Midheaven suggests a very positive influence by Tsipras on the Greek presidency. I mentioned above in that Sun sextile Pluto in his chart gives great power and persuasion plus good negotiation skills. You can see below that this ties into the Greek public as Alexis’ Pluto is conjunct the Greek Moon. The steadying influence of Saturn in his chart comes to the fore in representing Greece, with the Greek Ascendant in the middle of this Mercury, Venus, Saturn stellium. Altogether, this suggests that Alexis Tsipras not only feel at one with the Greek nation, but he is also an ideal representative for the feeling of the Greek and well-being of the Greek people. 1. 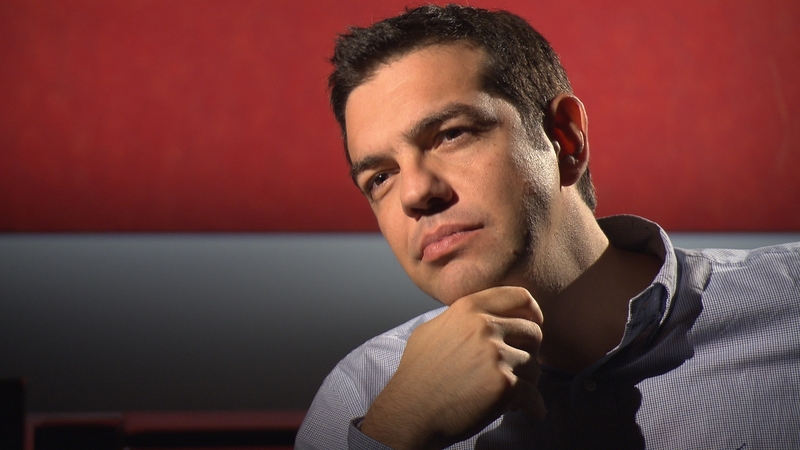 Alexis Tsipras – Greece’s rising star, Time Magazine. Great job, Jamie! I found your article very interesting and insightful. while he is a great man and has a universal patterned horoscope, how do you account for his capitulation to the financial powers that be (the Troika. as they are called) right after Greece voted overwhelmingly “no” on reaching this kind of “accord” with the EU? Perhaps we need a peek at the horoscope of resigned financial chief, Janis Varifoukas? I know he’s an Aries – and seemed much more resolute in his convictions. What? I didn’t mention any asteroids? You as an astrologer are just disappointing. As per the rules of classical astrology, it is very easy to see that this guy is an arrant materialistic scoundrel, devoid of any ideal and will other than his own fortune and his climbing to the high spheres of world at any cost and by doing any thing the other oligarchs want him to do. Just see the preeminence of the second house, the house of personal gains, there is the lord of the theme Mercury and also that of the career Saturn together with Venus lord of sixth with the lord of second Moon in sixth, which as regards a materialistic horoscope means underhanded dealings. The Moon is in deep fall in sixth, but applying square to her lord Mars in fourth : he really perceives his own people as an enemy to fight against and to benefit from. Lord of fourth Sun is in Third (twelfth from fourth) in Leo : he has but contempt for his own country when it comes to satisfying his ego. Mars being the lord of twelfth, expect from him a stab in his own country’s back. Neptune conjunct Rahu means the materialistic aspect only of Neptune is at hand, and applying to the Descendant means lies, lies, and lies, every word of his is bunk. The Ascendant is conjunct Ketu, that means spiritual insight and interest for the occult as a probable karmic reward but also a life where no evolution can happen unless he reaches for Rahu in the seventh, i.e. somebody else than his own ego, but for that kind of Leo, this is too demanding, so the greater probability is that he chose evil in a very deliberate way. His only way out as a potential religious conversion of any kind to the forces of light and love is to renounce to himself and to make another person the centre of his life, even a conventional romantic couple would be great for that purpose, but he prefers his own talent for underhanded dealings and for shallow political brillance. Hi Judith, my days arguing with Hellenistic astrologers are over. Time for you to catch up like modern medicine has. They stopped using these archaic rules about the time that life expediencies started rising.